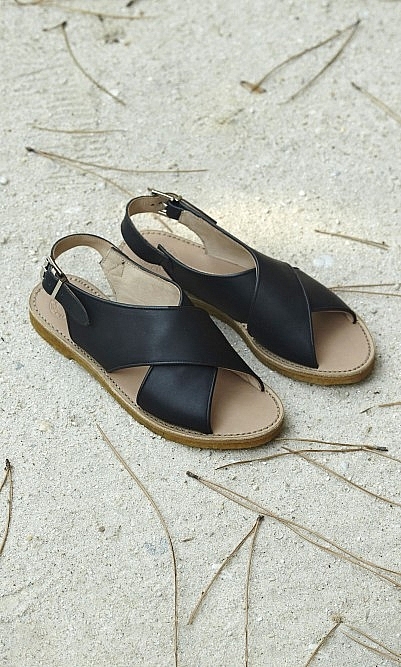 Cross-fronted sandals made from matte black leather and finished with a silver ankle buckle. Sublimely comfortable crepe soles. Made by London based designer Penelope Chilvers. These were a considered purchase for me, I won’t lie, but, after looking for cheaper alternatives, unsuccessfully, I decided to bite the bullet... I am so glad I did. I have lived in them since the day they arrived & have had many positive comments.